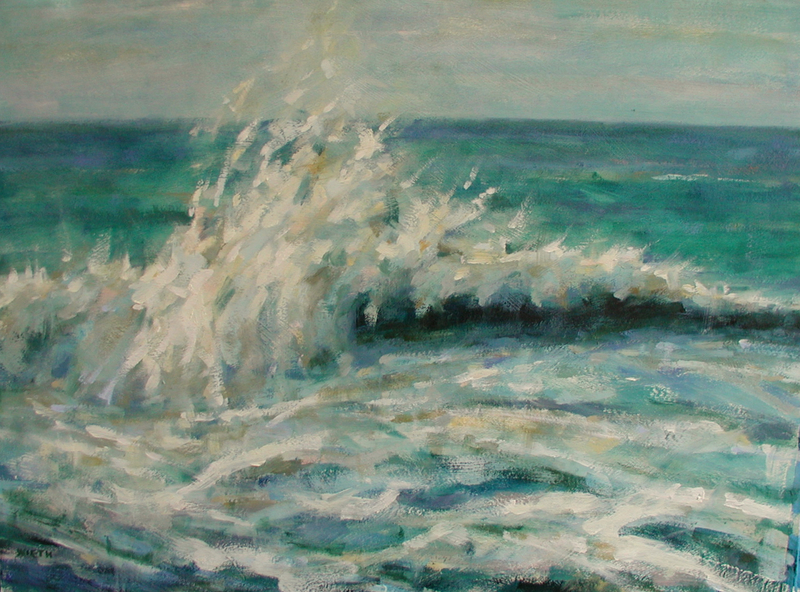 An ocean oil painting dipicting the strength of ocean through the waves. Original oil painting by artist Richard Wieth. To check on availability contact Richard.